Start taking classes at i.e. 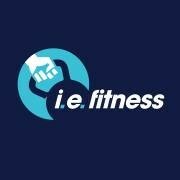 Fitness and other studios! i.e. Fitness offers personal training and boot camp services in the Chicago suburbs. Their talented trainers will help you reach your fitness goals. Please wear clean athletic shoes and comfortable clothing to work out in. Love Ian’s workouts, they are different each class so it’s not boring and your entire body gets a workout! The best workout + the best instructor!! Awesome full body exhilarating workout every time! Classes are always different with motivated instructors! Instructor assists u w all the positions for proper body mechanics and is different fr other HIIT classes bc he changes the workouts every interval (after 10-15 min) to focus on the entire body. Definitely tougher than it looks! great sweat!!! Instructor takes time to teach proper body mechanics for effective strength training. great workout with interval training and will make you sweat! clean facility! Great circuit training routines w workouts indoors and outdoors! Helpful and encouraging instructor, clean facility, and very welcoming! Workout includes stress relief equipment! excellent class and trainer. very friendly and engaging. This gym is a gem in the western burbs! Challenging for all levels and a friendly welcoming atmosphere. Great classpass experience - I'd highly recommend. Class is very energized and the trainers really motivate you to do better !